APK App Extractor Android: Today, I am going to tell you about APK app extractor for android and sharing with you, android apps APK extractor. Let’s Get Started. 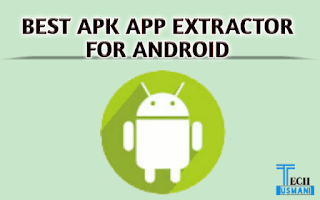 APK Extractor is a powerful tool which extracts APK’s of android apps that are installed on your android device. Let’s take an example, if you created an app and your app is not published on Play Store or AppStore then, you can extract APK of your App and share with your friends or anyone else you want to share your app. How to use APK Extractor to extract APK of any APP? Download the application by above link then open app, you will see all app’s that are installed on your android device. Click on an app whose APK you want to extract. APK of that app will be saved on ExtractedApks folder on your mobile device. Share this powerful and useful tool with your friends.